Classic Three Panel Door - Solid Arched Castle Doors. We've been building doors and furnishings since 1913 using only the old world techniques that built the impressive cathedrals and castles of the past. Each custom door entrance is 3" thick, built to withstand any weather, and hand crafted from wood we source on our own lots. Your door will provide the medieval or rustic look you?ve been seeking and you can feel assured by our ultimate promise - guaranteed forever. Castles provided defense and protection to citizens and royalty for thousands of years. We drew inspiration from Canterbury Castle in Kent, England because of its stoic appearance and importance during the 13th century. 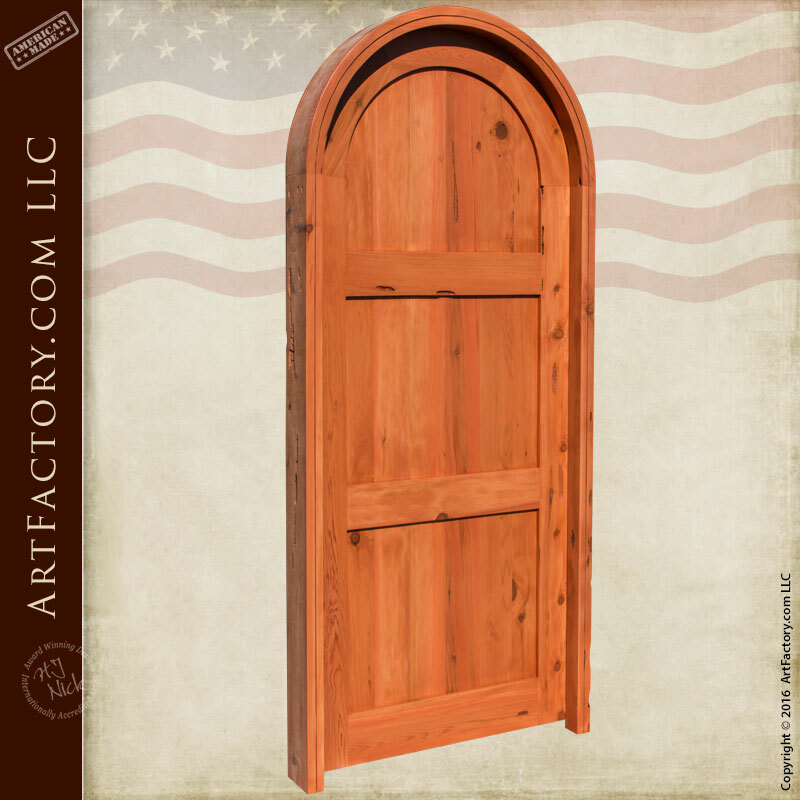 Our three panel Custom Wooden Door is an homage to the simplicity of design that endures over generations. Our dedication to old world design and techniques means your door is a piece of art you can feel proud to own. Our master woodworkers hand cut, hand sand, and hand finished each and every solid wood door to bring elegance to your home that is beyond compare. Your door is guaranteed to last forever and is sure to be noticed and talked about by all of your guests.